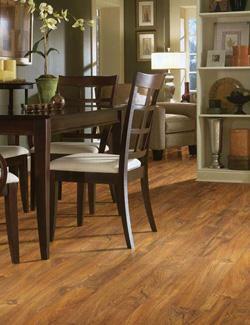 Few remodeling decisions do as much to transform your interior space as a change of flooring. Placing a new surface underfoot can substantially alter the look and feel of your space for the better. When you’re looking for new flooring, it’s in your best interest as a property owner to choose a new material that will continue to offer enduring beauty and performance throughout the years. When you visit My Flooring America of Sugar Land, you’ll find an impressive arrangement of luxury vinyl planks in Sugar Land, TX that are sure to serve you well in nearly any setting. Turn to our specialists for flooring options that will help you get the most from your remodeling project. At our fully stocked showroom, we proudly carry a large assortment of vinyl planks that offer remarkable appeal and versatility. These unique flooring selections are made from several precise-cut interlocking vinyl planks. As a result, they easily fit on virtually any flooring surface. In addition to offering exceptional resilience to general wear and tear, a luxury vinyl plank floor is softer underfoot than other hard surface materials. Available in a wide variety of colors, patterns, and styles, our showroom is sure to have a choice vinyl plank flooring that will meet your needs, no matter what your aesthetic preference. Vinyl plank floors are made from non-porous, composite materials making it a solid surface flooring option that can easily handle everyday wear and tear. Appropriate for high-traffic areas and easily repelling liquids, an LVP floor is ideal flooring choice for bathrooms and kitchens. Imagine having the rustic look of oak, pine, or redwood in your cooking or washroom space. Due to the unrivaled resiliency of this unique flooring material, you can take advantage of its exceptional durability and give nearly any room the beauty of natural hardwood, without the concerns. Do you know which of our luxury vinyl planks would best suit your remodeling project? Share your design vision with our knowledgeable flooring specialists and we’ll gladly help you find a choice that’s sure to satisfy your tastes and functional needs. After you’ve made your selection, our luxury vinyl plank installation team will ensure every inch of your new flooring is placed perfectly. Count on our professionals for new floors that are sure to impress.